Commission over exposure to nuclear testing in the 1950s and 1960s. 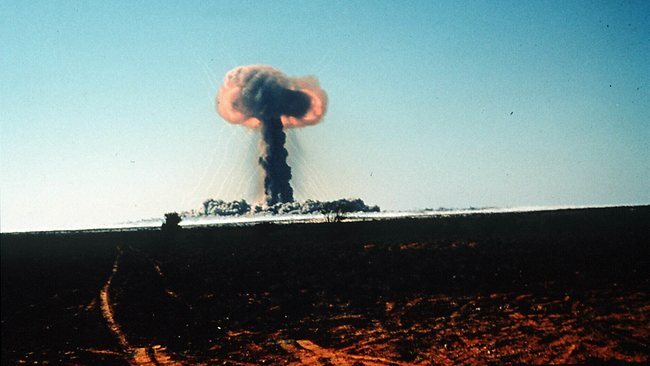 Hundreds of Maralinga veterans and their families have today made a complaint to the Australian Human Rights Commission over exposure to nuclear testing in the 1950s and 1960s. The action by 295 veterans is a last-ditch bid to be recognised for having been present when the British government detonated a series of nuclear bombs in remote South Australia. Stacks/Goudkamp human rights lawyer Joshua Dale lodged the complaint in Sydney, claiming the Menzies government breached their human rights by ordering their exposure to the harmful effects of radiation in full knowledge of the potential health impacts. “This really is the end of the line for the veterans, it’s their last chance to make an application and get recognition,” Mr Dale said. Mr Dale is arguing the federal government breached articles three, five and 25 of the Universal Declaration of Human Rights, which was the only declaration in place at the time of the nuclear explosions. The breaches relate to their rights to life and liberty; not be tortured or subject to cruel and inhuman treatment; and the right to a standard or living adequate for health and well-being. The veterans involved in the AHRC complaint were also involved in a joint bid for compensation in Britain, which was rejected last year. The statute of limitations has prevented the veterans from pursuing their case through Australian courts. About 8000 veterans were involved in the testing at Maralinga, including mechanics, builders, engineers and army personnel. Mr Dale said about 2000 were still alive. He said those nuclear veterans had been found to have a three times higher rate of cancer than the general population, 30 per cent higher death rates and the rate of abnormality in their children was three times higher than normal. However, any finding made by the AHRC would not be binding and it could not force the federal government to hand over compensation or provide greater rights for veterans.